Pumping applications are invariably demanding – typically operating in unsympathetic, arduous or extreme environments, where quality matters. The Dual V3 packaged pump station has been specifically designed to work in harmony with the Delta Cavity Drainage System to collect Ground Water via a perimeter channel or 110mm pipe (129 Detail). 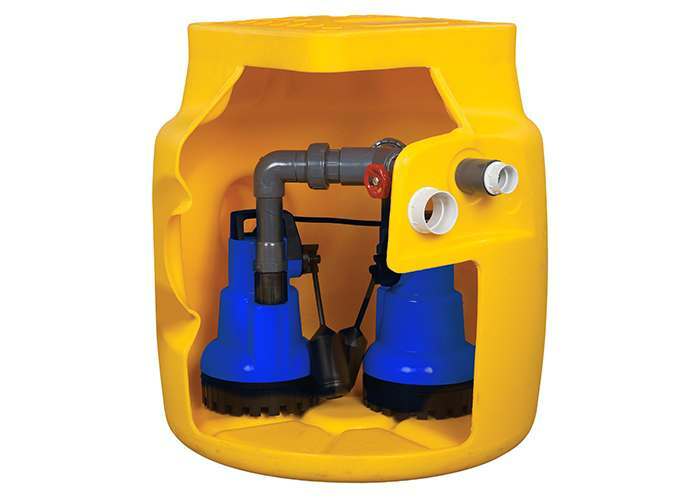 The Dual V3 sump offers unrivalled capabilities.